PayPal is a global payment processor that syncs automatically with your ZipBooks invoices and bookkeeping records. A window will slide in from the right called “Integration Preferences.” Enter the email address associated with your PayPal account. That’s it! 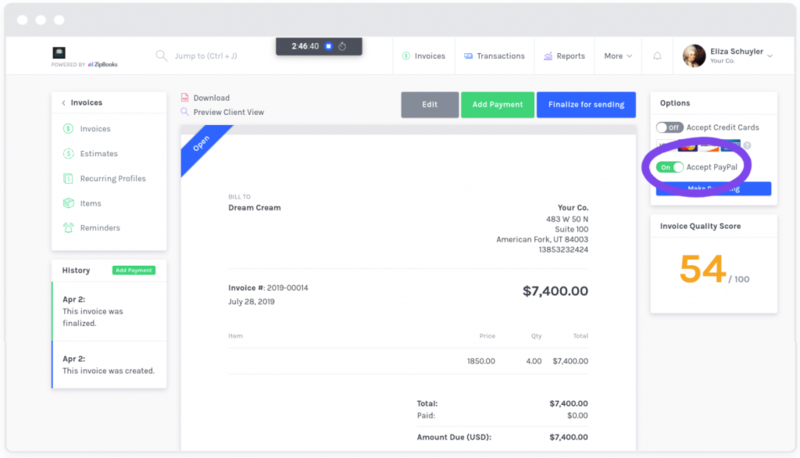 Now customers will be able to fill invoices using PayPal and your transactions will sync automatically with your books. Just make sure that you toggle the “Accept PayPal” switch to “on” when you’re creating invoices. If you want to change the email you use for PayPal, just go to Account > Payments > under PayPal, click Preferences. 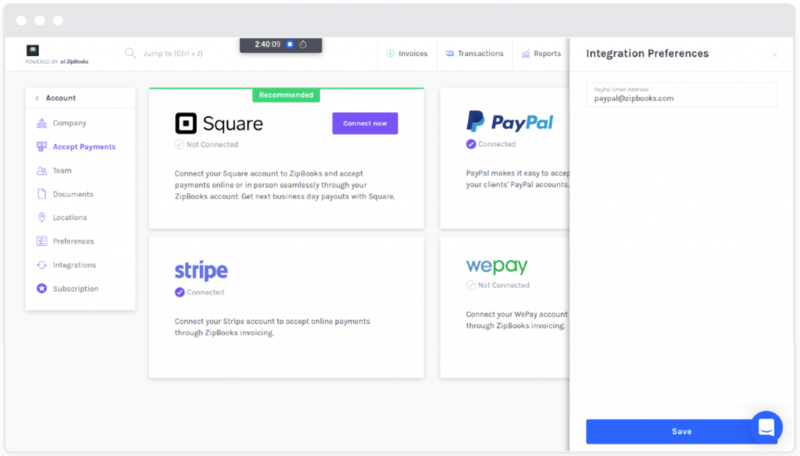 Note: You can also accept payments via Square or upgrade your subscription to accept payments via Stripe or WePay.